Sony Xperia Z is a touchscreen android smartphone it is developed by Sony Mobile, The Xperia Z Ultra as a 6.4-inch display and 1080p resolution. The phone weighs about 212 grams It also as a 3000 mAh battery pack that powers up the phone, the Xperia sports a a 2.2GHz Qualcomm Snapdragon 800 processor, 2GB of RAM, and also as 4G LTE connectivity, there is also 16GB of internal storage and a microSD slot that can take up to 64GB. 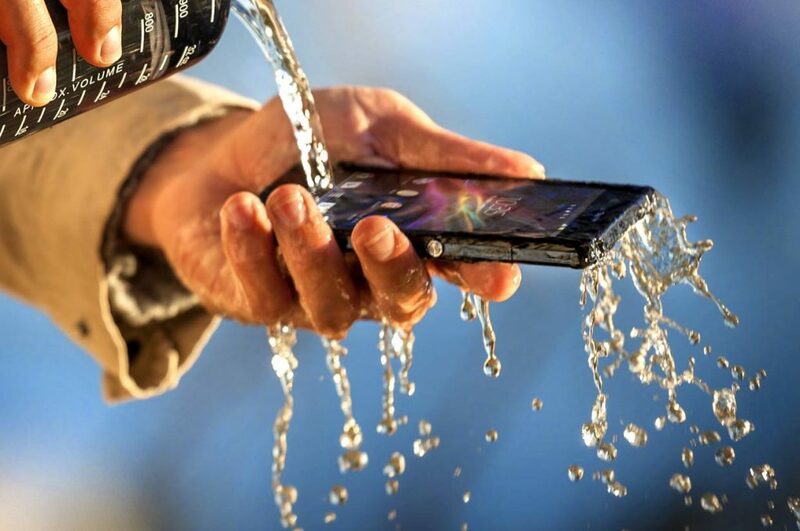 The xperia z as Wi-Fi, NFC, and Bluetooth capabilities, it as a 8-mpix camera that is great for low light condition. It is also Waterproof. Google is launching Internet-beaming antennas into the stratosphere aboard giant, jellyfish-shaped balloons with the lofty goal of getting the entire planet online. Eighteen months in the works, the top-secret project was announced Saturday in New Zealand, where up to 50 volunteer households are already beginning to receive the Internet briefly on their home computers via translucent helium balloons that sail by on the wind 12 miles above Earth. While the project is still in the very early testing stages, Google hopes eventually to launch thousands of the thin, polyethylene-film inflatables and bring the Internet to some of the more remote parts of the globe, narrowing the digital divide between the 2.2 billion people who are online and the 4.8 billion who aren't. If successful, the technology might allow countries to leapfrog the expense of installing fibre-optic cable, dramatically increasing Internet usage in places such as Africa and Southeast Asia. "It's a huge moonshot, a really big goal to go after," said project leader Mike Cassidy. "The power of the Internet is probably one of the most transformative technologies of our time." The so-called Project Loon was developed in the clandestine Google X lab that also came up with a driverless car and Google's Web-surfing eyeglasses. Google would not say how much it is investing in the project or how much customers will be charged when it is up and running. The first person to get Google Balloon Internet access this week was Charles Nimmo, a farmer and entrepreneur in the small town of Leeston who signed up for the experiment. Technicians attached a bright red, basketball-size receiver resembling a giant Google map pin to the outside of his home. In a successful preliminary test, Nimmo received the Internet for about 15 minutes before the 49-foot-wide transmitting balloon he was relying on floated out of range. The first thing he did was check the weather forecast because he wanted to find out if it was a good time for "crutching" his sheep, or removing the wool around their rear ends. Nimmo is among the many rural folk, even in developed countries, who can't get broadband access. After ditching his dial-up four years ago in favour of satellite Internet service, he has gotten stuck with bills that sometimes exceed $1,000 a month. "It's been weird," Nimmo said of the Google Balloon Internet experience. "But it's been exciting to be part of something new." In recent years, military and aeronautical researchers have used tethered balloons to beam Internet signals back to bases on Earth. Google's balloons would be un-tethered and out of sight, strung out in a line around the globe. They would ride the winds around the world while Google ground controllers adjusted their altitude to keep them moving along the desired route. Ground stations about 60 miles apart would bounce Internet signals up to the balloons. The signals would hop backward from one balloon to the next to keep people continuously connected. 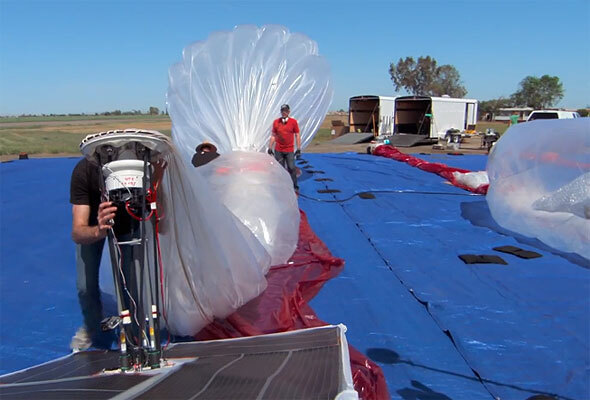 Solar panels attached to the inflatables would generate electricity to power the Internet circuit boards, radios and antennas, as well as the onboard flight-control equipment. Each balloon would provide Internet service for an area twice the size of New York City, or about 780 square miles, and because of their high altitude, rugged terrain is not a problem. The balloons could even beam the Internet into Afghanistan's steep and winding Khyber Pass. "Whole segments of the population would reap enormous benefits, from social inclusion to educational and economic opportunities," said DePauw University media studies professor Kevin Howley. Once in place, the light but durable balloons wouldn't interfere with aviation because they fly twice as high as airplanes and well below satellites, said Richard DeVaul, an MIT-trained scientist who founded Project Loon and helped develop Google Glass, eyeglasses with a tiny, voice controlled computer display. In the US, however, Google would have to notify the Federal Aviation Administration when the balloons are on their way up or down. The company is talking with regulators in other countries about meeting their requirements. 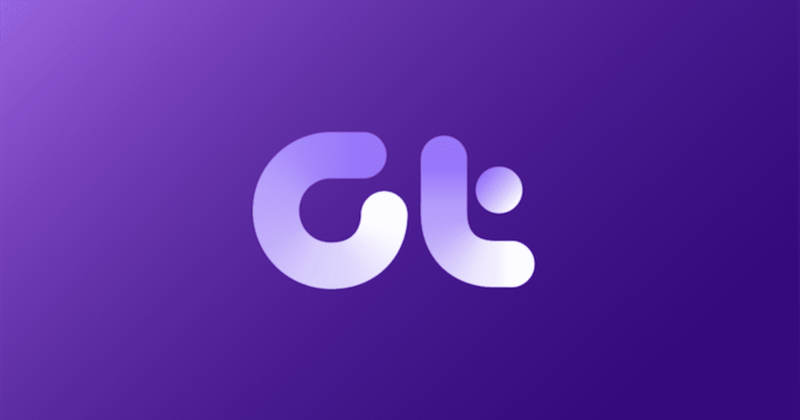 The Internet signals travel in the unlicensed spectrum, which means Google doesn't have to go through the onerous regulatory processes required for Internet providers using wireless communications networks or satellites. At this stage, the company is putting a few dozen balloons up over New Zealand and then bringing them down after a short period. Later this year, Google hopes to have as many as 300 of them circling the globe continuously along the 40th parallel, on a path that takes them over New Zealand, Australia, Chile and Argentina. Covering the whole world would require thousands of the balloons. No timetable has been set for that. There is a lot of smart phones on the market with lots of features, but ask yourself a simple question which one would you buy. Would you buy the Blackberry 10 Smart Phone, The first BlackBerry 10 L-Series all-touchscreen phone will feature a 4.2-inch display with a high-definition resolution of 1280 by 768, 2 gigabytes of RAM, 16GB of internal storage, and an 1,800 mAh battery, according to the report. The phone will also have a front-facing 2 megapixel camera with 2X digital zoom and 720p video recording, while the back has an 8 megapixel shooter with LED flash, auto focus, 5X digital zoom and the ability to shoot video in 1080p. The blackbery 10 cost starting from $529.99 without a contact. What about the Samsung Galaxy S4, The Samsung Galaxy S4 is said to have an even more powerful chip than the S3 from Broadcom - the "5G Wi-Fi combo chip" - listed as the BCM4335 chip. The 5G Wi-Fi combo chip is said to improve the wireless range of devices, making it even easier and faster to stream and download large files or videos. The Samsung Galaxy S4 costing starts from $589.99 without a contract. Would you consider the HTC One, The Htc one as Wi-Fi b/g/n, Bluetooth 4.0, HSDPA, EDGE and GPRS are all supported – as you’d expect – and there’s a pretty sizable Li-Ion 1500 mAh battery aboard too, which delivers some pretty impressive usage – we eked a couple of days out of the One V with moderate usage. The HTC One costing starts from $629.00 without a contract. Is Iphone 5 the one you would invest your money in, the iPhone 5 as a 4-inch Retina Display screen, 1136 x 640 pixels. The iPhone 5 as the Apple A6 processor which offers twice the performance of the A5 chip in the iPhone 4S, it as support for the 4G LTE networking and it also as support for DC-HSDPA networks, the Iphone 5 have wifi capabilities. The iPhone 5 costing starts from $610.00 without a contract. All the phones mention above are really good phones with some exciting features the cost do varies, but it is really a tough decision to choose one. TeamViewer is a remote software that can be use to access your PC from anywhere its is mainly intended to assist users control, view or transfer files from remote PCs or servers. TeamViewer as many features for the remote access user. In addition to file transfer and remote access capabilities, there are also other features that make this software the ideal companies. Click Hear To Download TeamViewer Once the download is complete, launch the app's installer. Select Install and then Next. For personal use, please select personal/noncommercial and then click Next. Accept the license and usage agreement by selecting both checkboxes and clickingNext. For installation type, select Yes to install the host listening software on the current computer; then click Next. The software will now be installed. The app will prompt you to set up unattended access. Click Next, set a descriptive name and password for the computer, and click Next again. Select I already have a TeamViewer account. Fill in the username and password that you created previously, and then click Next. Click Finish to complete the setup. The second computer will now be running listening software that waits for approved devices to connect to it, and can also connect to other computers you configure. With the software is installed at both ends, connecting to the remote computer (typically called the host) from the computer/device where you are currently located (typically called the guest) should be easy. Launch the software on the guest. Enter your TeamViewer account login credentials, and log in. A list of computers associated with your account will be appear in the My Partners list; one of them will be the host computer that you configured earlier. Double-click the name of the remote computer that you want to connect to. When you're done accessing your remote computer, close the window to end the session. A site without traffic is a boring site, to get traffic to your site is a lot of work it is not as easy as many people think. Having a great site without anybody knowing about it will do you no good, what you have to do is to show your site to the world. One way to get traffic to your site is to find other popular blogs that have the same niche as you and comment on there blogs and leave a link to your blog, for example if you have a blog about relationship find a popular blog that talks about relationship and leave a good comment. Social network is very important, Facebook and twitter are the two main ones, build a good list of followers on twitter make sure these followers have a interest in your niche. You can tweet your most recent blog posts on twitter and you will surely get a good amount of traffic. Create a Facebook page about your site or blog and try to get as much likes as you can, then post all your posts on your Facebook page. Visitors to your page will see your posts and eventually will go to your blog or site you can get a lot of traffic from your page.